The 4th Taste of Lo de Marcos will take place next Sunday, February 19, 2017. 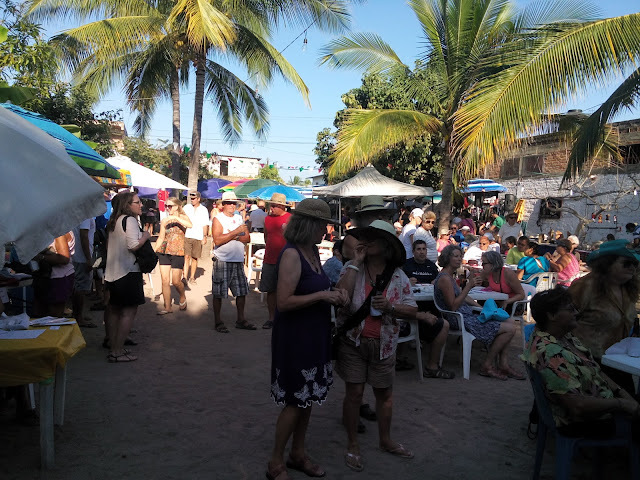 This is considered the top social and culinary event of the season in this quiet village known as the Riviera Nayarit’s Peaceful Retreat. This Mexican-style kermes will take place in the Los Delfines event hall (Luis Echeverría #9) and will run from 3 p.m. to approximately 8 p.m.
Local restaurants will host the tastings and offer delicious treats ranging from the simplest of foods to the most gourmet bites. There will also be a variety of artisans on hand presenting their handmade creations. Caravane and Letcho & Andrea will liven up the space with a live concert that afternoon. Those who prefer to enjoy the concert from special seats can purchase entry to the VIP section for MX$100 per person. The event will take place in the same location where the artisanal marketplace is held every Saturday from 9 a.m. to 2 p.m.
As always, the event is being held for a cause and all funds will be divided equally between Amigos de Lo de Marcos and the Citizens’ Action Committee in order to continue creating events and lending support to cultural occasions. Sponsors include Galván Bienes Raíces y Servicios, NovarMar Insurance and the Riviera Nayarit Convention and Visitors Bureau. For more information please call 327 275 0233 or email GalvanRealEstate4@gmail.com.